When the owner of an 84-foot Cheoy Lee returned to the yard for his next and bigger yacht, he had a long list of demands. Instead of compromising, the yard’s designers turned to naval architect Jon Overing and interior designer Sylvia Bolton to come up with something entirely new. 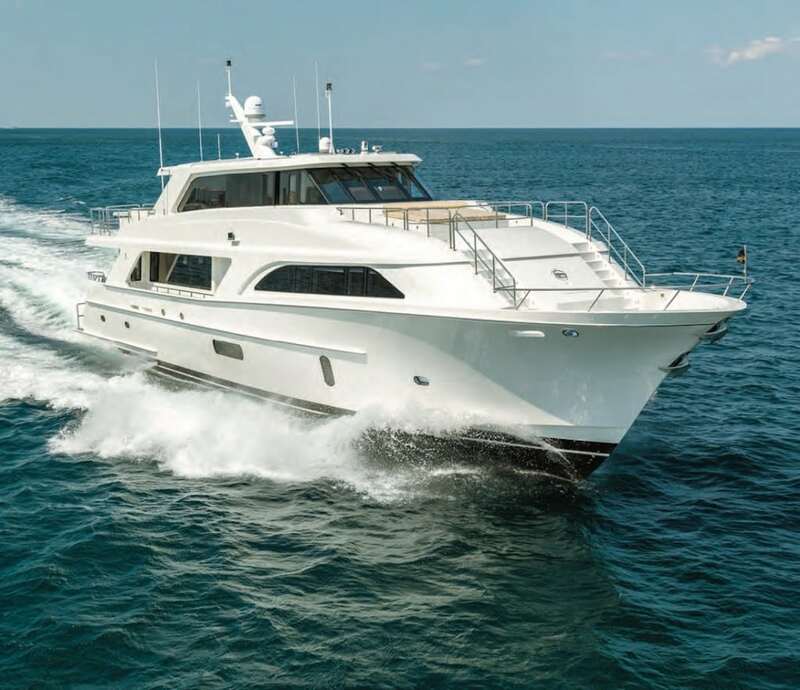 The result is this Global 104 Pilothouse (LOA: 103′ 10″; Beam: 22′) with unprecedented interior volume and clever design solutions that gave the owner everything on his wish list. In addition to a salon and dining area, the main deck encompasses both a large country kitchen as well as a full-beam owner’s suite with his-and-hers heads. Up top, the spacious skylounge was designed to seat 15 around the focal point of a 75-inch television. Below-decks are four guest staterooms, with crew quarters for five aft. Drawing less than six feet for Bahamas cruising, the Global 104 has twin 1,900-hp Caterpillar C32 ACERTs that give it a swift top speed of over 25 knots. At a more sedate 11 knots, the Global 104 can make it 2,400 nautical miles, thanks to integral fuel tanks with 5,200-gallon capacity.